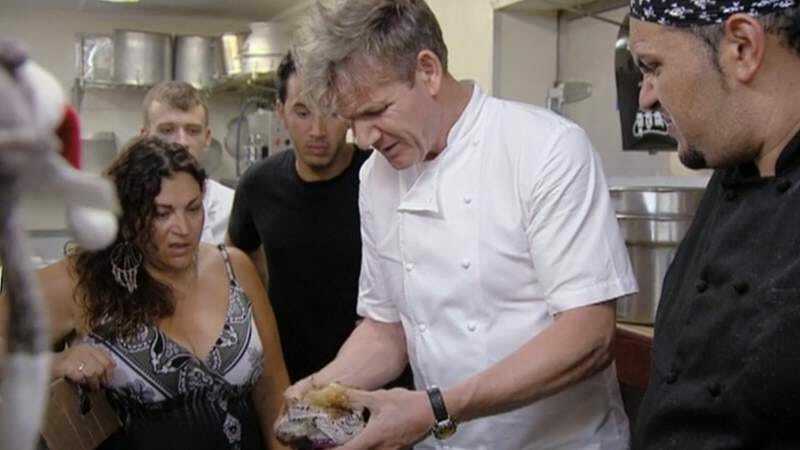 Gordon Ramsay filleted his way into America’s heart by bellowing at doltish line cooks on Hell’s Kitchen, but has since stayed by bellowing at people like you on Twitter. But while his reputation is that of a snooty, cantankerous gourmand, Ramsay isn’t mean for the sake of meanness (just watch him with the pint-sized chefs on MasterChef Junior). If it tastes good, Ramsay will say so, as is evidenced by this compilation of times he actually enjoyed the food of restaurants he sought to save on Kitchen Nightmares. Ramsay must have a sweet tooth, because half of the dishes he fawns over here were desserts made by kindly old women. He also goes gaga over a burger, but if you watch the whole episode, it’s pretty clear he just praises it to piss off an overbearing owner. It’s nice to see Ramsay delighting these salt-of-the-earth cooks with his approval, but not nearly as entertaining as when he’d beeline to the bathroom after a bite to go toss the whole thing up. Kitchen Nightmares, you are missed.